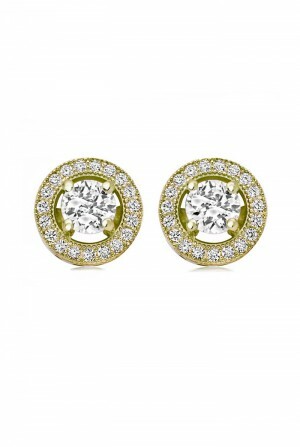 A glint of gold is good for the soul so these Gold Deco Stud Earrings are essential retail therapy! Happily holding their own against a beaded flapper dress these Gatsby earrings also look fantabulous teamed with a prom and cardi combo too. Delicate but with enough sass from the Swarovski crystal, these gold vintage earrings are going to be our go too for lush lobes. 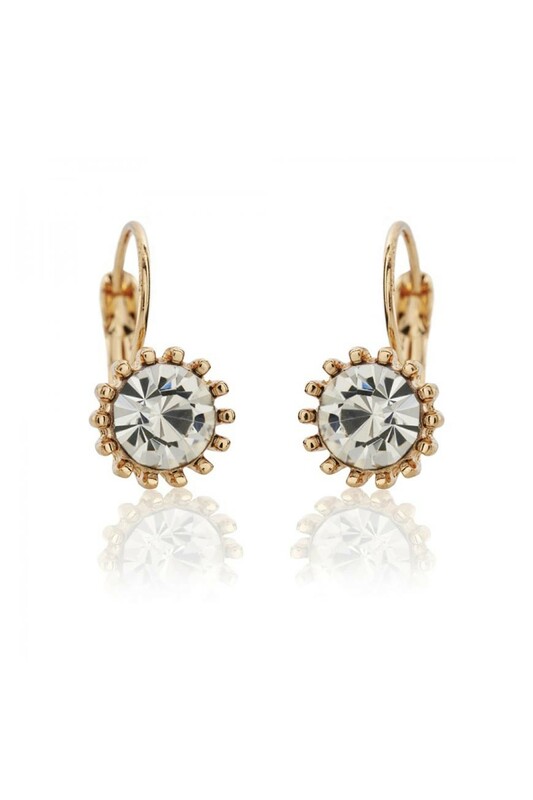 These are small gold drop earrings on a hoop featuring a round clear stone set in a claw setting. For pierced ears.